New year, new bathroom! Whether you’ve been planning your bathroom renovation for the better part of the past year or are just getting started, check out 2019’s hottest bathroom trends for inspiration. The last few years have seen the rise of subway tile and gray everything… from floors to vanities, there was no escaping this modern, neutral hue. In 2019, you can expect styles to become even bolder, as dark tones and unique accents lead the way in modern bathroom trends. From light fixtures and cabinetry to vanities and mirrors, black is having a moment. Make a bold statement with your bathroom renovation by incorporating elements with a matte black finish. To keep the dark hue from overpowering your bathroom, use more subtle colors and designs in walls and floors. 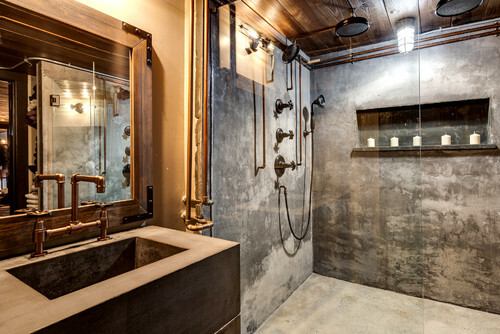 The industrial look has found its way into the bathroom! Vanities with wooden accents, metal finishes, and fun tile patterns are perfect for this look. Vanities that expose sink plumbing are perfect for smaller apartments or hallway bathrooms. Pair industrial sinks with gold or brass accents, matte black fixtures and fun patterns for an even more modern take on this style. If gray tones are not your style, warmer tones and accents are coming back in. Various shades of wooden vanities and cabinetry are perfect for complementing both light and dark colored bathrooms. They also pair well with vintage and industrial styles, making now the perfect time to add a warm, wooden accent to your bathroom renovation! Golden accents create an air of luxury while hiding pesky finger and watermarks. With finishes like satin, matte, and spun gold, these accents add a traditional feel to your bathroom. Try incorporating this warm look in sink and toilet hardware, light fixtures and mirrors!  Whether you have a precise vision you want to bring to life or need an expert opinion on how to incorporate modern bathroom trends in your home, our team of expert designers is only a phone call away!